Sometimes we spend so much time photographing things that are millions of light years away that we forget about our moon, which is right next door. 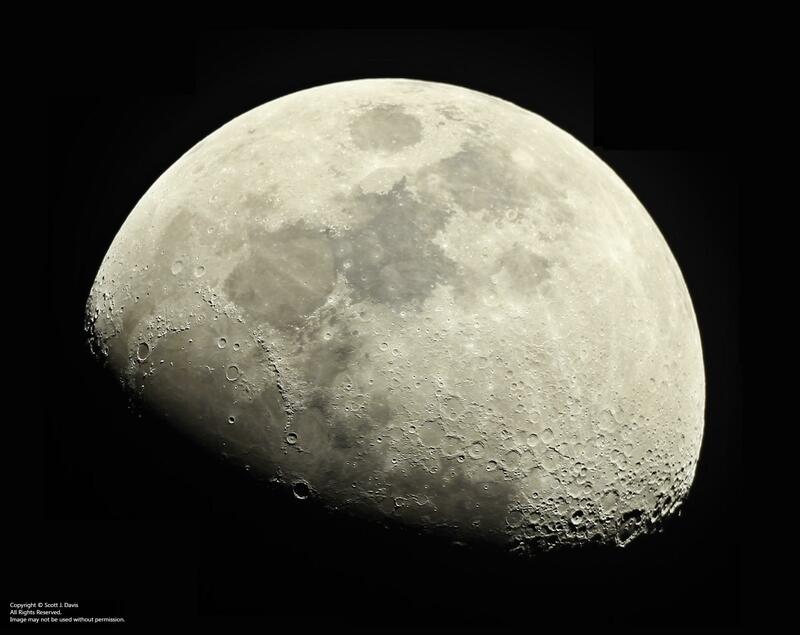 This photo was taken on January 20, 2013, when the moon was a 63% waxing gibbous. Seven separate areas of the moon were imaged, with a 300-frame video on each area. The videos were processed in Registax 6 and then manually aligned in Adobe Photoshop CS6 to complete the final mosaic image.